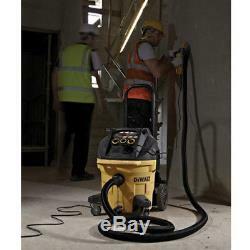 DeWalt DWV902M M-Class Wet & Dry Dust Extractor 240v. Wet Tank Capacity : 18.4L. The DeWalt DWV902M Next Generation Dust Extractor is an innovative dual filter cleaning system that maintains performance during tough construction applications. 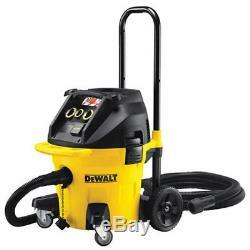 It ensures constant suction power , even with the finest concrete and wood dust. Each filter is automatically cleaned every 15 seconds , reducing filter clogging and delivering constant air flow. An audible alarm alerts the user if a drop in performance occurs. 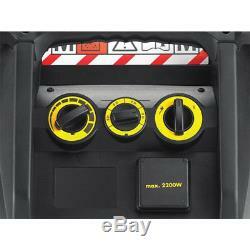 A built-in power take off socket allows power tool connection for automatic start and stop control when the power tool is operated. The machine continues to run for an extra 15 seconds to allow all dust to be cleared from system. For easy transportation, the Dust Extractor has a telescopic handle and large rear wheels. M Classified to meet EU legislation. Designed for construction applications in material with OEL limit values of >0.1mg/m³, including quarrtz and hardwood dusts - Wet and dry applications. Top Brand Tools at Competitive Prices. This product has no reviews yet, however see what our buyers say about our other products.. View similar items in our shop. View these items & similar. Hear about the latest products and special offers first! 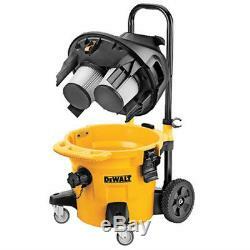 The item "DeWalt DWV902M M-Class Wet & Dry Dust Extractor 240v" is in sale since Tuesday, December 5, 2017. This item is in the category "Home, Furniture & DIY\Appliances\Ironing & Vacuuming\Vacuum Cleaners". The seller is "my-tool-shed" and is located in Hatfield. This item can be shipped to United Kingdom.